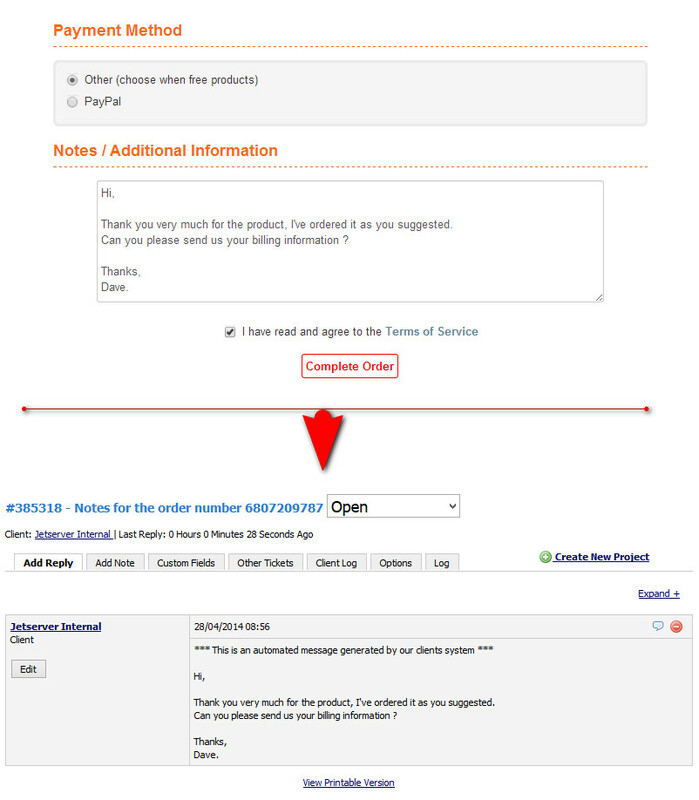 This WHMCS hook will open a support ticket whenever a note is added to the order. With this hook you can forget about accepting an order without reading the client’s notes ! Once an order is placed, the hook will retrieve the order notes content, open a ticket to your staff so they will be able to take action. Ticket is automatically assigned to the user’s account for future reference. ✔ You can set any ticket subject. ✔ You can set a pre-message prior to the note for your staff. ✔ You can set the ticket priority. ✔ You can set the ticket department. ✔ You can choose if you want to send email to the client for the ticket.